Inov-8 have recently launched their much awaited Mudclaw “G” 260 shoe with graphene infused rubber soles. I’ll be using a pair over the winter months to see how the graphene outsoles cope with the harsh, Peak District gritstone terrain and I’ll post a review once I’ve done a decent amount of miles in them. British-born brand inov-8 have launched the ultimate shoe for running through mud. The new MUDCLAW G 260 is the first-ever shoe in this category to utilise graphene – the planet’s strongest material. 200 times stronger than steel, graphene has been infused into the rubber outsoles, making the studs stronger, more elastic and harder wearing. inov-8 Product & Marketing Director Michael Price said: “The rubber studs look more like claws or fangs. Through extensive testing we have found that these new shaped studs give the best possible traction when running or obstacle racing over muddy terrain and, unlike racing spikes, also provide underfoot comfort on harder ground. “By adding wonder-material graphene to the rubber it makes the studs 50% stronger, 50% more elastic and 50% harder wearing – statistics scientifically proven by graphene experts at The University of Manchester, whom we have collaborated with on this project. 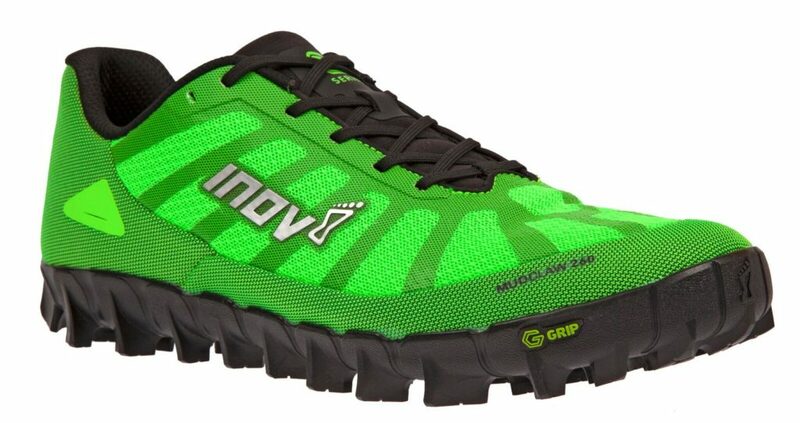 The revolutionary shoes, which will benefit both trail and fell runners as well as obstacle course racers, orienteers and cross-country athletes, all whom regularly run or compete in muddy conditions, are on sale now priced at £140 from www.inov-8.com and selected retailers. Amongst the athletes to have rigorously tested the MUDCLAW G 260 is international Great Britain mountain runner Ben Mounsey. The 37-year-old has been wearing a prototype pair of the shoes for several months and has clocked up more than 1,100 miles in them. During that time inov-8 have also worked to further improve other elements of the shoe, including the durability of the upper materials. inov-8 first used graphene in their TERRAULTRA G 260 shoe – an award-winning product launched last summer for runners who train and race over hard ground trails. The brand also sells graphene grip footwear specific for hikers and crossfitters. Graphene is produced from graphite, which was first mined in the Lake District fells of Northern England more than 450 years ago. inov-8 too was forged in the same fells, with the brand now trading in 68 countries worldwide. The scientists who first isolated graphene from graphite were awarded the Nobel Prize in 2010. Building on their revolutionary work, a team of over 300 staff at The University of Manchester has pioneered projects into graphene-enhanced prototypes, from sports cars and medical devices to aeroplanes and now sports footwear. Video of Mudclaw G 260 in use. Posted in Reviews, Shoes and tagged inov-8 mudclaw.